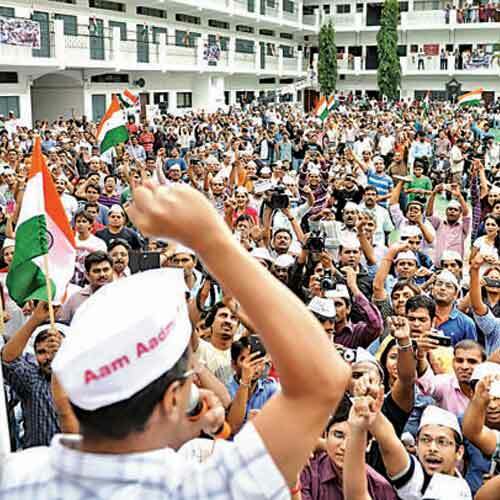 Arvind Kejriwal launched the party’s Karnataka Unit for the 2014 Lok Sabha Elections. “People are upset with both Congress and BJP and neither Congress vice-president Rahul Gandhi and Gujrat Chief Minister can provide a good future for the nation”, Arvind said. Kejriwal express gratitude to all the people of Karnataka and volunteers who help to launch the party here and said that party will not give tickets to corrupt people. After contesting Delhi Assembly Elections, AAP would field candidates in all the constituencies in the state. I wish the party can win many seats in Karnataka, but in practical situation it’s impossible. I think it’s good in contesting the polls as AAP is new party and will gain experience which will help its leaders in the coming future. I bet AAP will not be able to win one seat in Karnataka. Sorry guys you can’t win a single seat in Karnataka, but I appreciate your efforts and best of luck for your future endeavours.